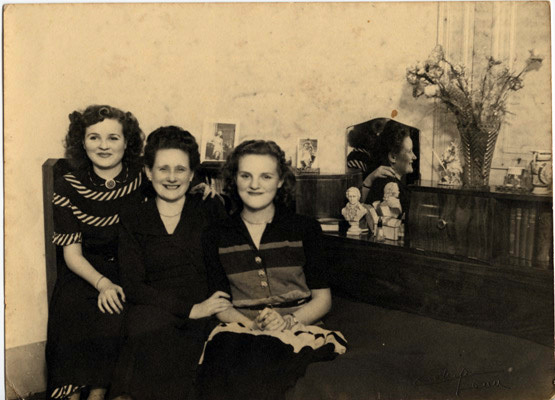 Francine, Germaine Ajzensztark (her mother), and Suzanne Baton (her sister) in Paris, France, ca. 1948. This photograph was taken in their Paris flat, 17 Blvd de la Villette Paris 10, right after they got it back. They had to go through a lawsuit to get their flat back from a woman that occupied it during the war and didn't want to return it to Francine's family.